It’s stories like these appearing in my inbox that make me sing to the cadence of an air cooled engine. Thanks for sharing, Joel. 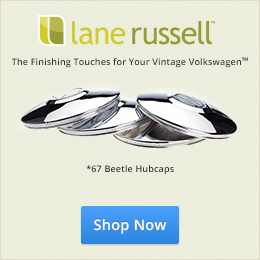 The ’67 Beetle community around the world is here for you! I’m sure we will be learning more about this L282 Lotus White gem very soon. 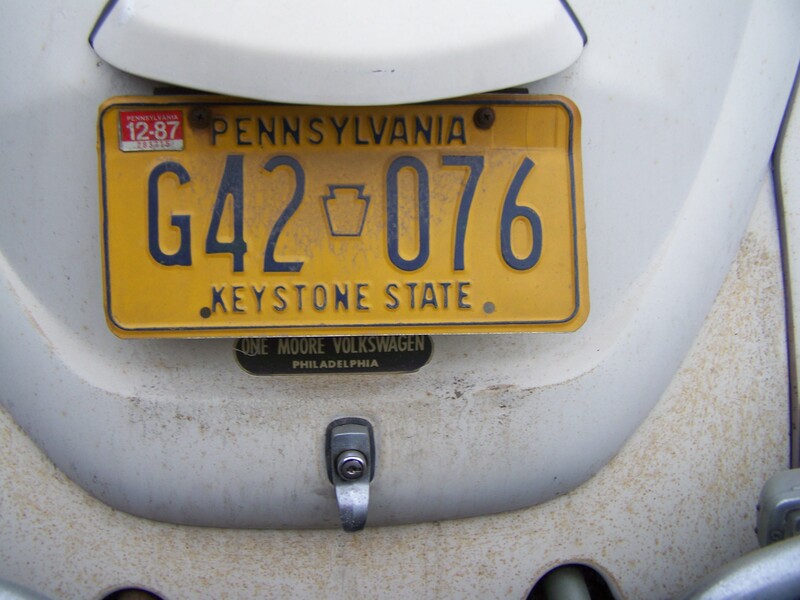 I have acquired a one owner, 74,000 mile 1967 Type 1 sedan and am very excited about beginning the recommissioning of a car that has sat for 28 years (unloved) in a garage here in Philadelphia. Although it was towed out of the garage on four (4) flat tires, they did hold air at the shop. Chris has it running from a rear bumper-mounted gas can (please see links) and we are taking the next step of getting to a point where it will be able to pass state inspection (new brakes and tires; rusty rocker panel replaced, tune up and carb rebuild, oil change; trans axle oil, and major service). 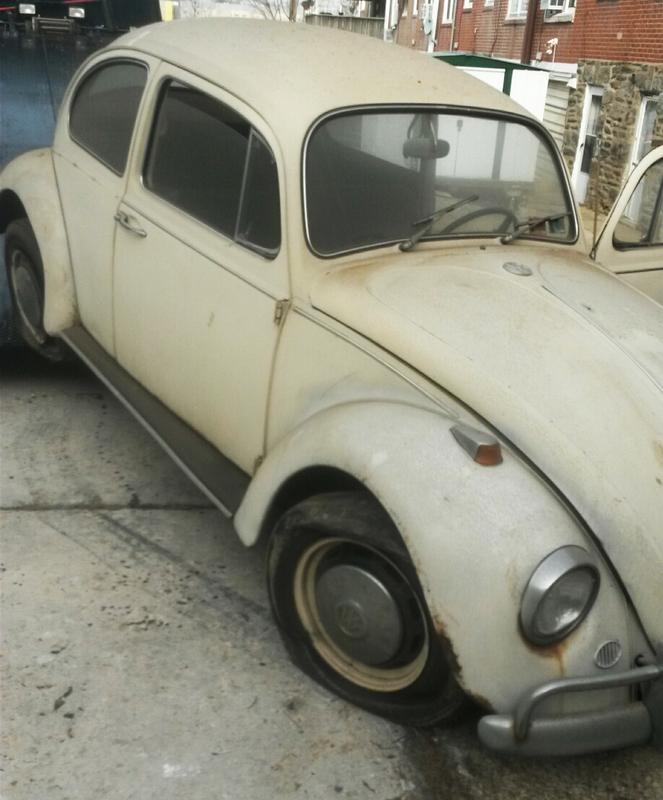 I am very grateful for 1967beetle.com and Classic VW Bugs for tons of advice and guidance going forward, Thank you for your service to the hobby and stay tuned as we bring this 1967 back. Roswitha, at Wolfsburg VW Museum, has confirmed that this Chassis (117 689 445) and engine (HO674 492) are the matching pair that this car left the factory with in May 1967 (Lotus White with Black Leatherette). Since the car was garaged in 1987 (and never left) and we have lots of service records, it appears that the mileage at 74K is also correct. What a great find! I am looking forward to seeing the progress of your car the final product when completed! Wonderful opportunity! Good luck Joel! A true “garage find”! Wonderful story which is having a happier ending than it might have been. I love it, the car, the story, the video! And you gotta save the decal under the tag!